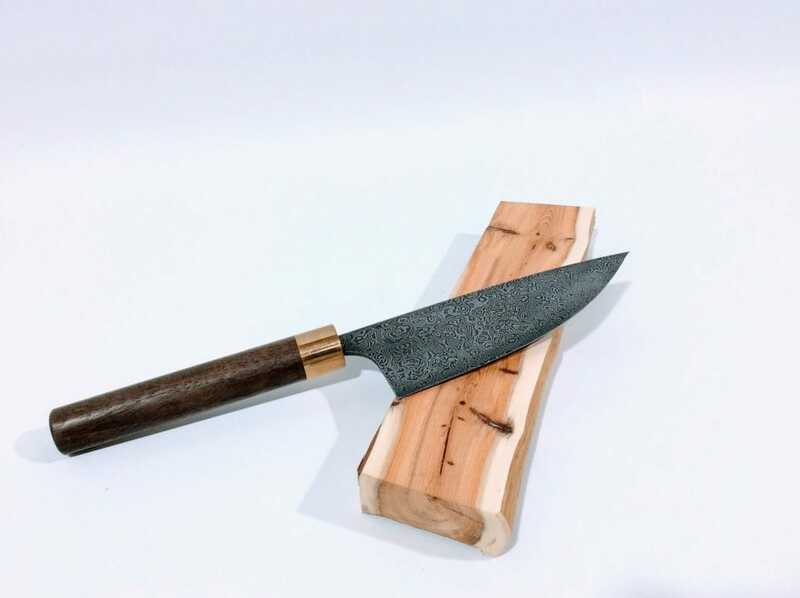 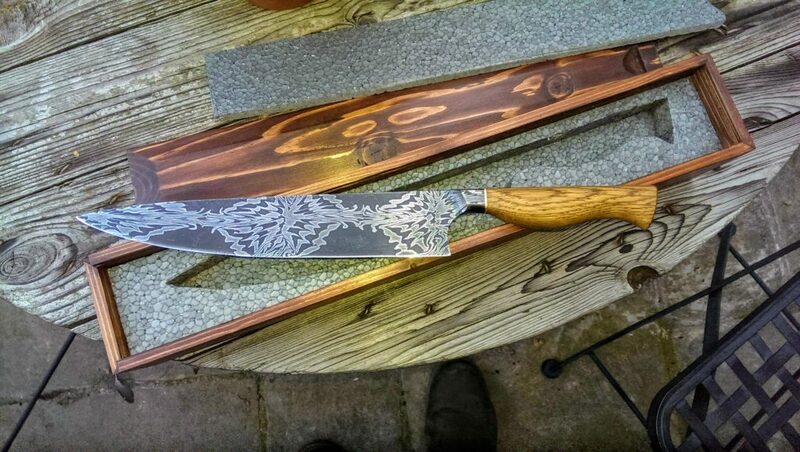 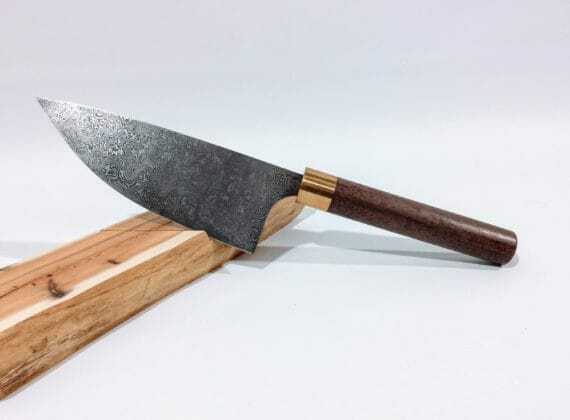 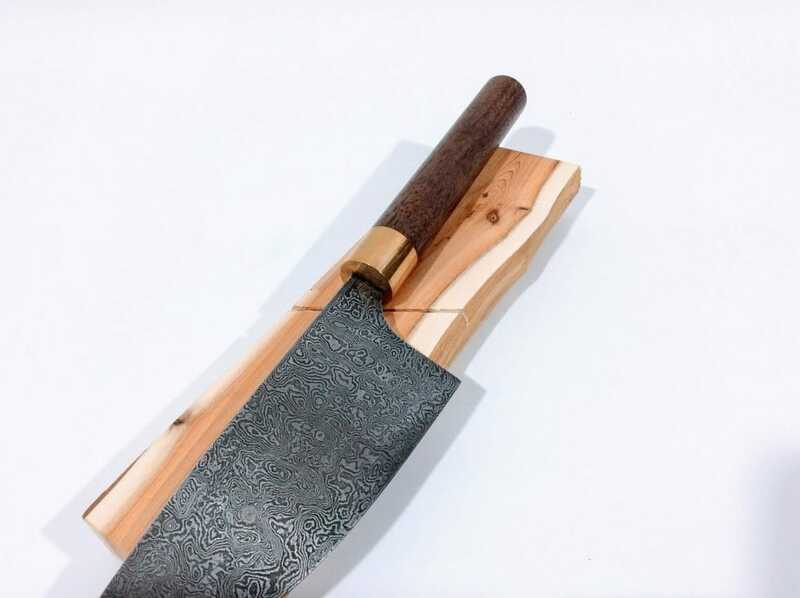 'Random' pattern Damascus steel chef's knife. 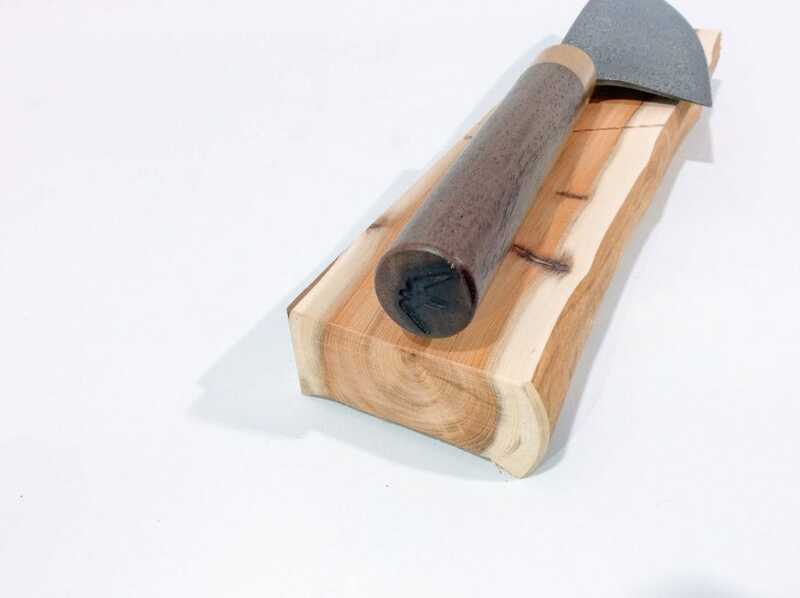 A hidden tang design with brass ferrule and a walnut handle. 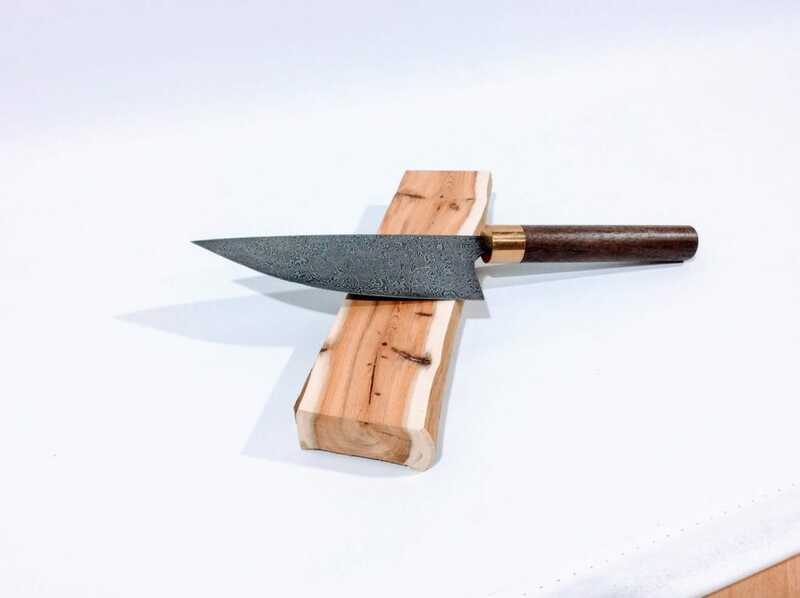 Balances approximately 5mm behind heel of blade.